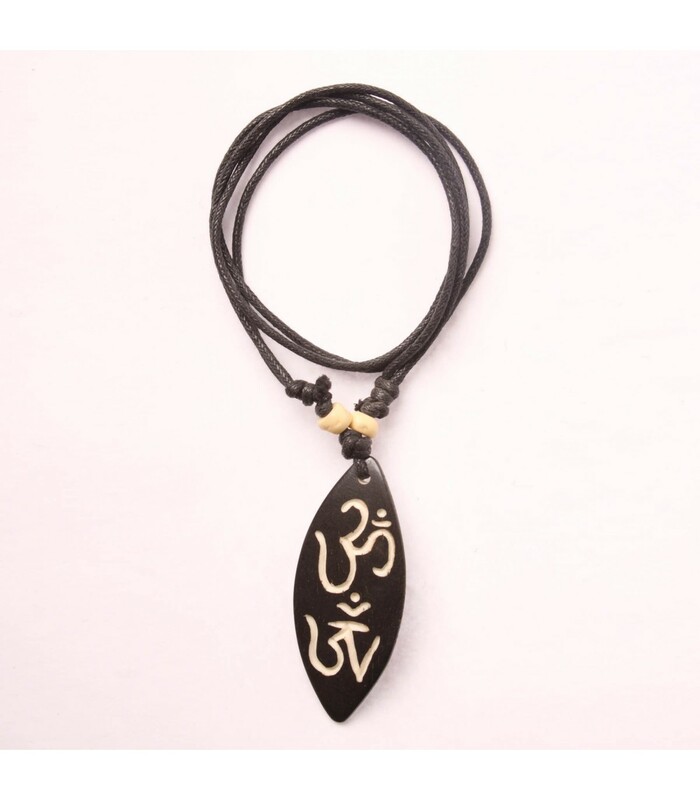 Buffalo bone locket dyed into black colour and shaped into a leaf structure. 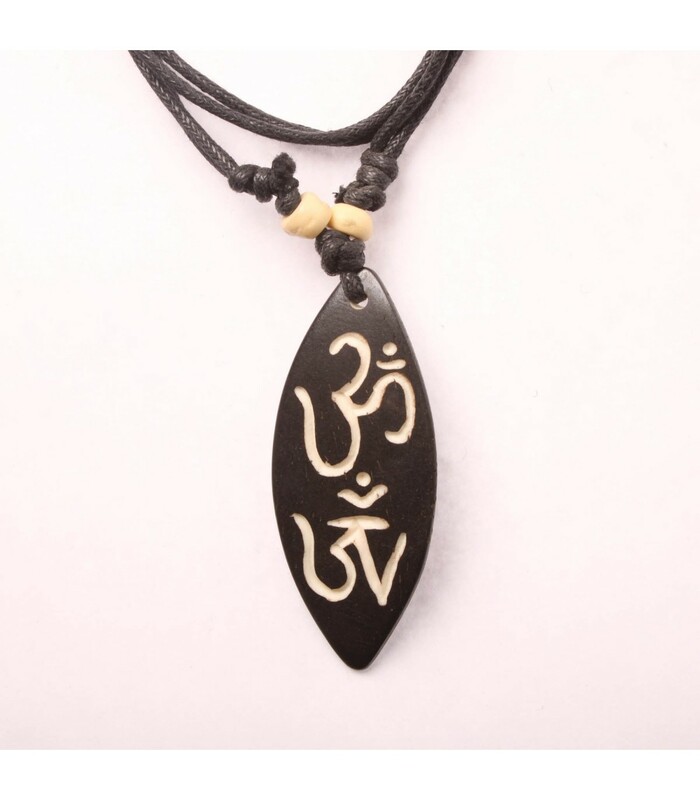 Religious mantra ‘OM’ is crafted on top. It is hanged and locked with wax cord and two beads.